If you are looking for a petite chair with loads of charm, then Eliza will be perfect for you. Its rolled panel arms, camel back, curved front rail and medium brown turned wood legs give this chair exceptional style. 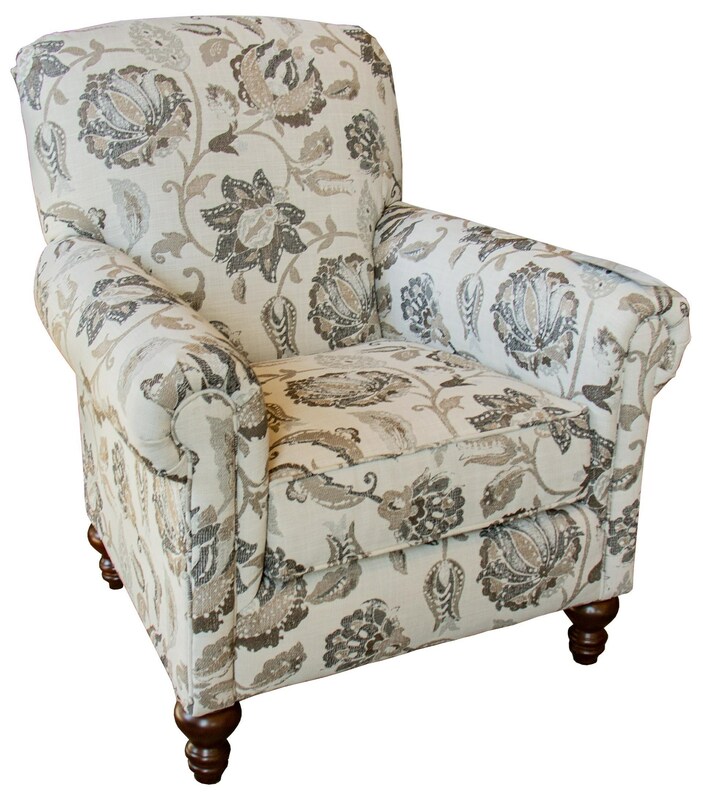 The Layla Eliza Accent Chair by England at Great American Home Store in the Memphis, TN, Southaven, MS area. Product availability may vary. Contact us for the most current availability on this product. Fabric Content Welt is matching. Seat Back Back cushion is (attached) block foam with polyester fiber cap. Seat Support Back & seat construction are both sinuous wire. Padding & Ergonomics Seat cushion is loose (ventilated & reversible) block foam with polyester fiber wrap. England's Layla collection is a great addition to any home. Poised and refined, this design features a turned sock arm, multiple throw pillows, nailhead trimming and beautiful turned wood leg. The Layla series includes a sofa, loveseat, chair and ottoman. The Layla collection is a great option if you are looking for Traditional furniture in the Memphis, TN, Southaven, MS area. Browse other items in the Layla collection from Great American Home Store in the Memphis, TN, Southaven, MS area.